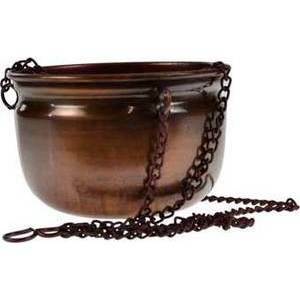 Shop > Incense > Incense Burners > Hanging Incense Burner 4"
An anitqued copper bowl with 3 point chain and S hook for hanging. For all manner of ritual use including a vessel for liquid and as a base for sand to burn incense. Copper. 4" x 2 1/2"